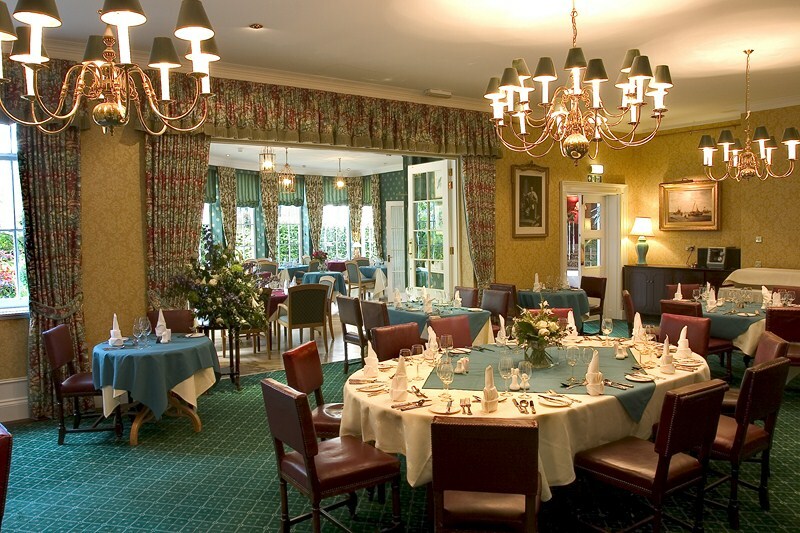 The main Dining Room is a central meeting point for Members and their guests and is especially popular at lunch times. As the largest dining room in the Club, it can be adapted to a wide variety of table layouts, which make it the perfect setting for formal dinners and cocktail parties. The room can be hired privately after 3pm, or at weekends. Please note that when booking the Dining Room and selecting from our Banqueting Brochure, no room hire charge is applicable. The Dining Room can be reserved in conjunction with the Garden Room, with the sliding door between removed and taking the capacity for a seated dinner up to 120.